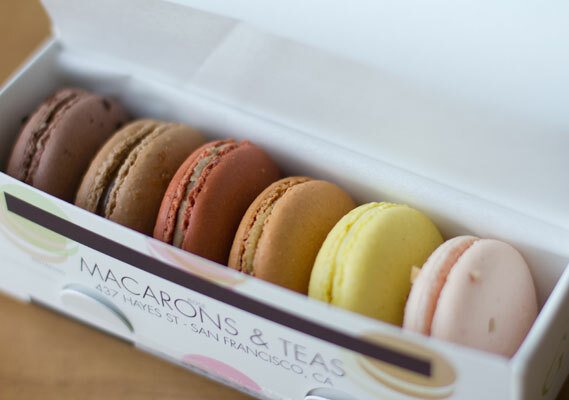 My new favorite spot to grab a fancy little dessert item is Hayes Valley’s Chantal Guillon Macaron and Tea shop. A beautiful selection of colorful macarons made of almond flour and egg whites are handmade in San Francisco with organic ingredients and seasonal fruit flavors. Over a dozen options are offered daily, and every one of them is gluten free! I just discovered Chantal Guillon in Palo Alto near where I live and had to try them, even though I did not realize they are gluten-free. They are better than Lauduree in Paris!! Thank you for informing me that they are gluten-free!